In November I gave my daughter a set of unfinished wooden peg dolls . My original request was that she paint our family on peg dolls as a Christmas present to me so I could put them in a shadowbox frame. She loved that idea. I loved that idea. The peg dolls arrived just as friends flew in to stay with us for Thanksgiving. That prompted an even better idea! 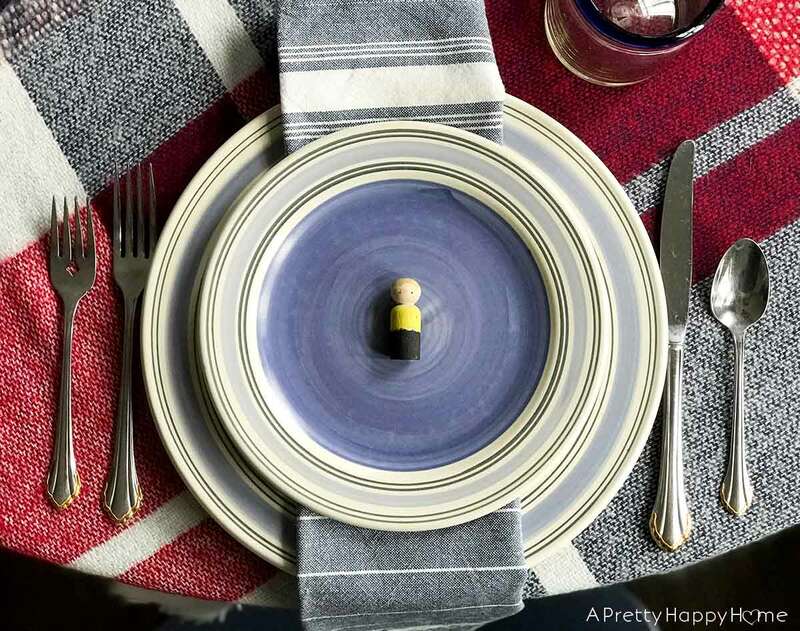 Peg Doll Place Cards for Thanksgiving Dinner. I asked my daughter and her friend (they are both 11 years old) if they would paint peg dolls for every person joining us for Thanksgiving. 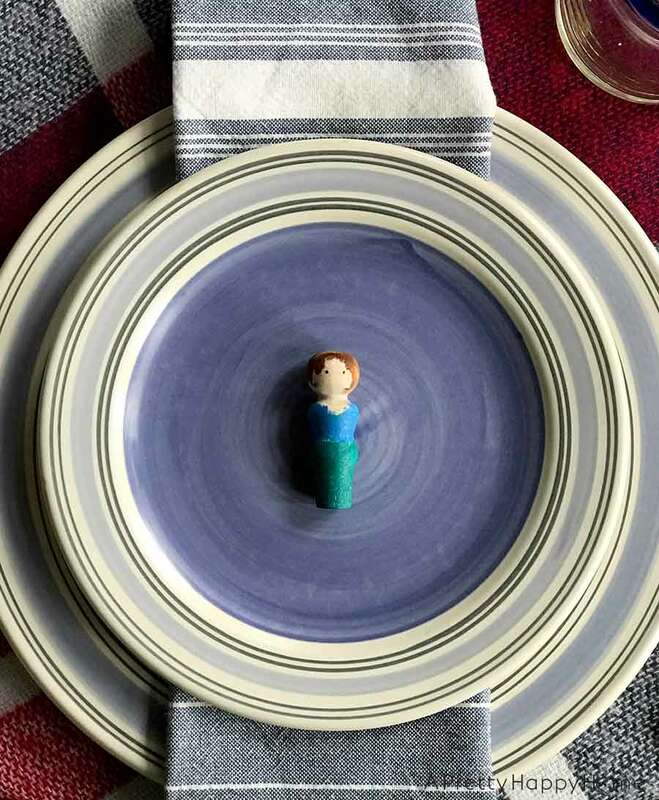 Instead of place cards at each table setting, we would have custom-painted peg dolls. By the way, I didn’t know what else to call this creation besides Peg Doll Place Cards even though there is no place card. I’m running with that description for now. The girls used a combination of acrylic paints and Sharpies to paint the peg dolls. Craft paint would work too. You could also seal the peg dolls with a clear spray or Mod Podge if desired.. The girls kept the peg dolls a secret until it was time to set the Thanksgiving table, so we were all so surprised and delighted for them to unveil their creations. Honestly, my heart about exploded from seeing myself recreated in peg doll form the cuteness. As my friend pointed out, it was also really neat to see what features of each person the girls chose to emphasize on the peg dolls. My doll, for instance, has short brown hair with a few dangly curls right in front of my ears. She nailed it! As an added side perk, the kids played with the dolls during dinner and kept themselves quite entertained for the 12.75 minutes that dinner lasted. HA! I joke. Sort of. The ratio of Thanksgiving food prep to consumption is all out of whack, don’t you think? But I digress. I don’t keep a ton of my children’s artwork, but these peg dolls are ones I will cherish. Every year I can pull them out and say, “Remember when you were 11 years old and painted these peg dolls?” And I’m sure there will be a few eye rolls, but deep down I hope my daughter knows how happy it made me that she took the time to make all of us something special. P.S. These are the wooden peg dolls I ordered from Amazon. They come in a set of 40 with different sized dolls for around 13 bucks. 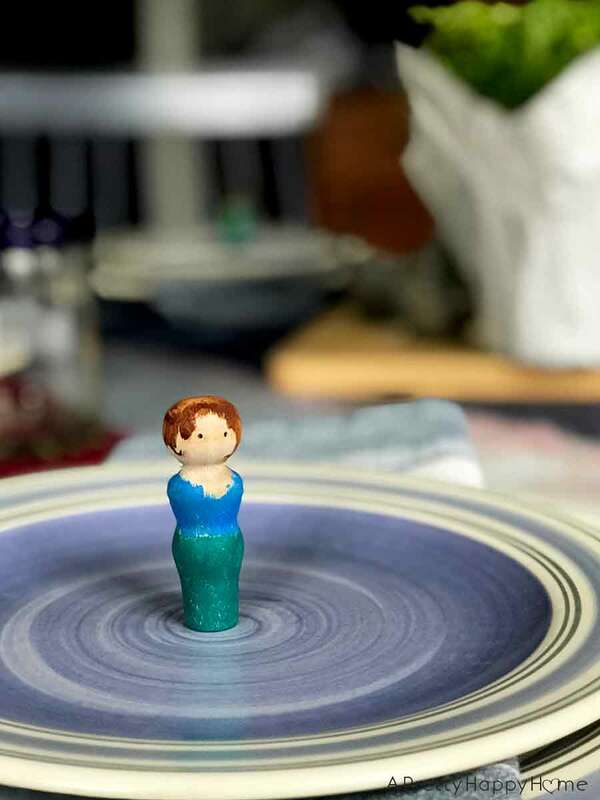 You can buy peg dolls at the craft store in smaller quantities, but from what I’ve seen as of this posting date they are better priced on Amazon. P.P.S. 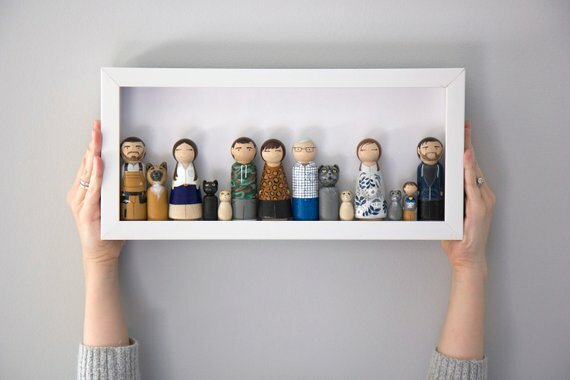 A bunch of sellers on Etsy paint peg doll families based on a picture you send them of your family. That’s where the original idea came from. My daughter likes to paint, so I figured this would be a good project for her. Here’s an example from GluePaperScissor Shop. 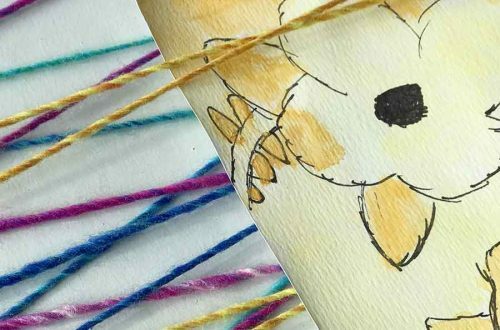 There are a billion cute animal videos on the Internet, but you chose to spend part of your day reading this blog post instead. THANK YOU. It means the world to me. How can I repay you? Hmm…with something else to read, perhaps? Free Printable – Vintage-Looking Animal Prints – From my own photos!